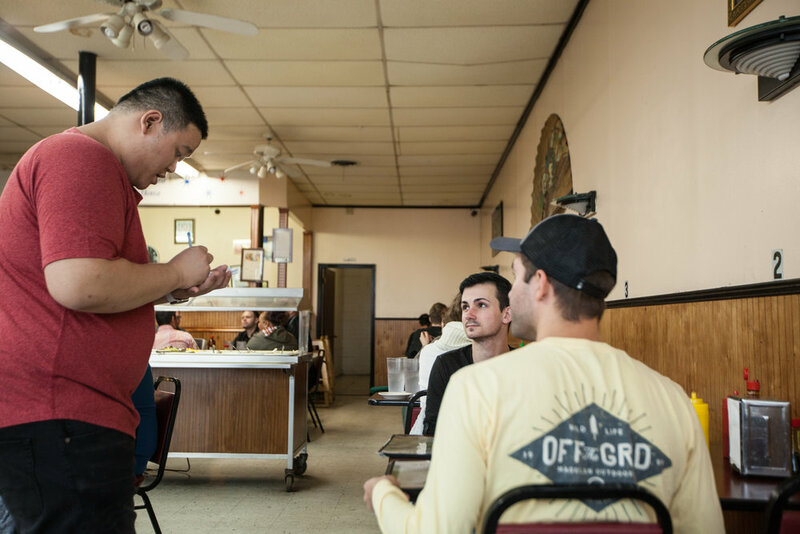 Pop into Pho Binh at noon on any weekday, and you’ll be hard-pressed to find a seat. Bearded Midtown hipsters, business people in suits, moms and dads with young children and people from all walks of life are gathered at tables, their plates piled high with lemongrass tofu, chicken wings and mounds of sticky white rice. The Midtown restaurant’s lunch buffet is legendary. 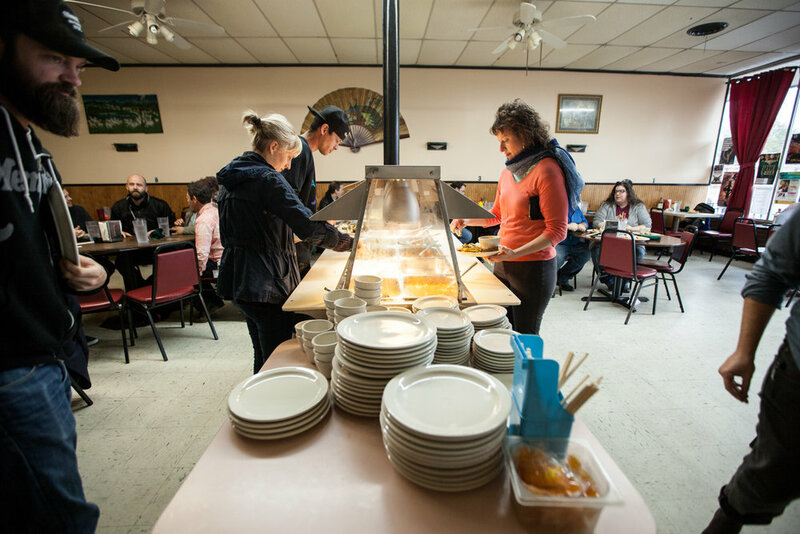 For $8.73 (including tax), diners gain all-you-can-eat access to a small but impressive spread of authentic Vietnamese cuisine, a deal that has certainly contributed to the restaurant’s success. 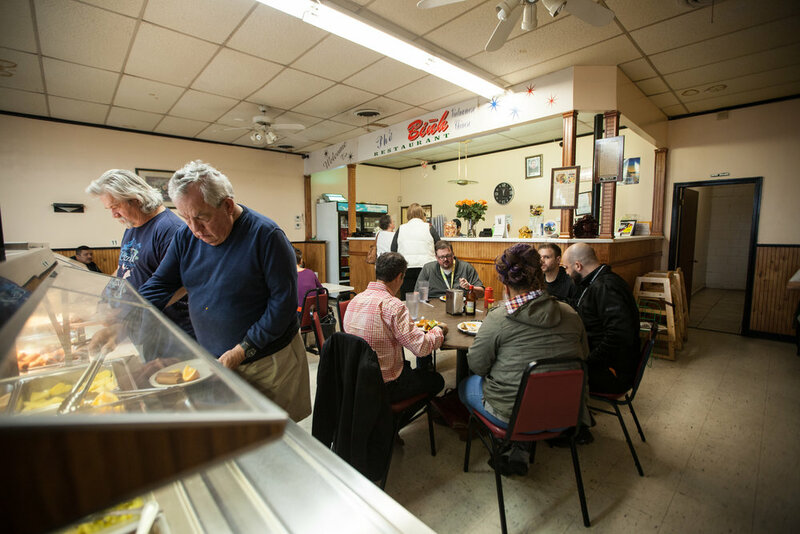 But this popular family-run diner has humble beginnings. In 1992, the Sacred Heart Church on Jefferson sponsored Pho Binh matriarch Nhu Pham, her husband Toan Nguyen and their three girls (Thu-Huyen, Thu and Tam) in their move from Vietnam to Memphis. By 1993, the couple’s family expanded with a son, Joseph. By 1994, Nhu had started a weekend gig making and selling rice pancakes and traditional Vietnamese food out of their apartment in the Washington Bottoms neighborhood, which back then served as home to a thriving Vietnamese community. The family lived in a duplex, and the landlord cut out the middle so the family was able to live on one side, while the other side served as a restaurant. “We had a little kitchen with portable plastic chairs and tables, so we could only sit a few people at a time, but most people took the food to their jobs,” says Tam Nguyen, the youngest daughter, who now works in the kitchen at Pho Binh. Nhu eventually outgrew the little operation and purchased the current Pho Binh space at 1615 Madison, across from what was then the Piggly Wiggly grocery store (now Cash Saver). She opened the business as a billiard room and cafe catering to the Vietnamese community, but that business failed to take off. So she changed the concept to a Vietnamese restaurant and Pho Hoa Binh was born (the Hoa was dropped several years ago when another Pho Hoa Binh restaurant in Atlanta threatened to sue). At the time, it mainly served Vietnamese clientele, and Tam, who was around eight years old then, says business was slow. But over time, business picked up as word got out to the greater Midtown community that Pho Binh had some really great food at a really cheap price. “Word of mouth went around. We never advertised,” Tam says. One of Tam’s older sisters, Thu, was old enough to help her mother in the restaurant from the beginning. By age 14, Tam went to work there as well, and Joseph followed suit a few years later. Sister Thu-Huyen pursued other career interests and eventually moved to Houston. Their father, Toan, split with Nhu a few years after their move to the States and was never involved in the restaurant. Tam says business really started booming in 2010 after she and her brother, who both speak fluent English, were working there. 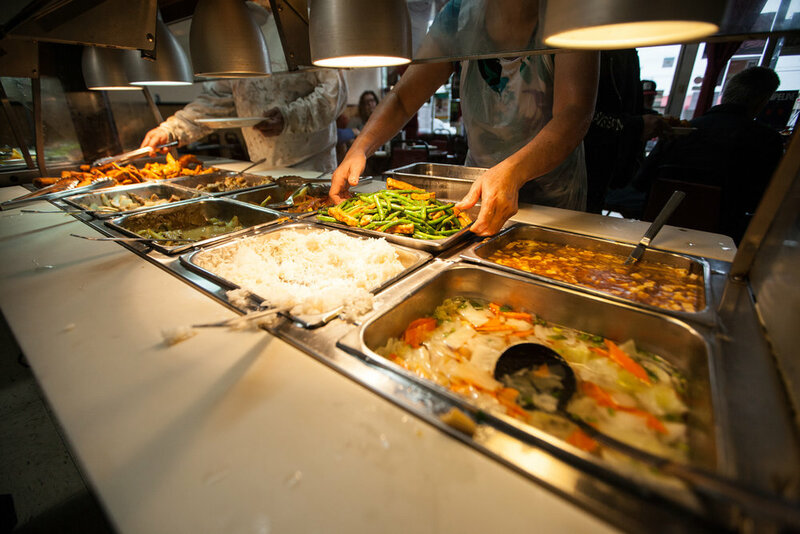 The lunch buffet, at that time, was just $5, the same price it had been since Pho Binh opened in 2000. That low price and their famous lemongrass tofu—a dry fried tofu dish with a citrusy tang—was likely a reason for the restaurant’s sudden success with the American customer base. But that cheap price didn’t account for inflation, so the restaurant began to struggle despite its uptick in business. “My mom didn’t want to go up on the price, knowing there were a lot of struggling college students. We tried to stay low so it would be affordable, but my mom was struggling because we didn’t make enough money. The prices were so low, and food costs went up every year. There was a point when we thought we might have to close because of it,” says Tam. 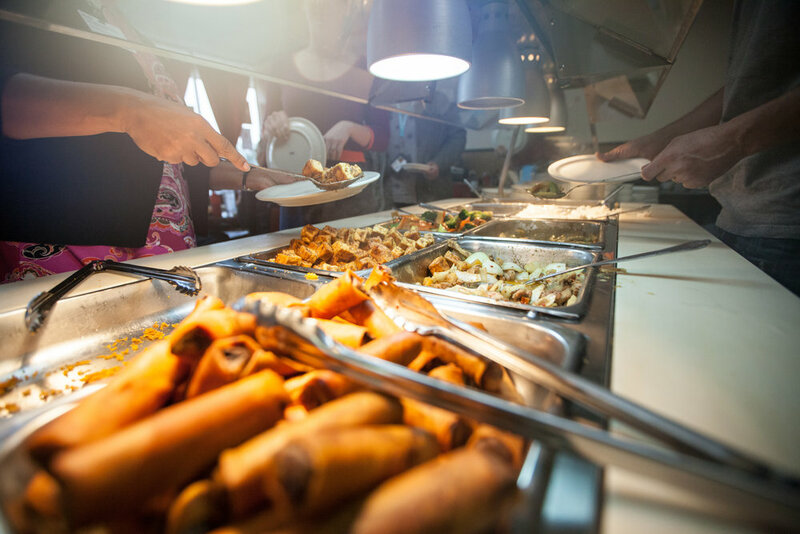 As hard as Nhu fought to keep the buffet at $5, it was her children who finally convinced her to raise the price so the restaurant could stay afloat. Pho Binh’s loyal customers didn’t seem to mind the price increase, though, and they kept coming in for lemongrass tofu, chicken wings and egg rolls. Those have been the most popular menu items since day one, according to Tam (pro tip: Tam recommends ordering the lemongrass tofu with a side of curry sauce for dipping). Tam can tell stories about regulars all day. There’s Benny Carter, who owns Murphy’s bar next door and has been coming in since the beginning. Or the woman who brought her baby son in wearing an “I Love Curry” bib for one of his first solid food meals of coconut curry tofu. One long-time regular, Jason Baker, came in one day and made an offer—he’d create T-shirt designs for Pho Binh, and, if the shirts didn’t sell, he’d pay for the first batch. Thus, the iconic blue, soft-cotton tees with the yellow chopsticks logo and the words “Memphis-Style Tofu” were born. They were an instant hit. “We’ve gone through four batches of the Memphis-Style Tofu shirts. That’s almost 300 shirts,” Tam says. Pho Binh’s success wouldn’t be possible, she says, without their loyal customer base. Bianca Phillips has probably eaten her weight in Pho Binh’s coconut curry tofu over the years. She spends her days at Crosstown Arts, where she serves as the communications coordinator. Breezy Lucia is a Memphis transplant from Kansas City, Missouri. She’s a freelance photographer and filmmaker living in Midtown. Bianca Phillips writes about vegan food (and shares images of everything she eats) on her blog, Vegan Crunk. She's the author of Cookin' Crunk: Eatin' Vegan in the Dirty South. By day, she works as the communications coordinator for Crosstown Arts/Crosstown Concourse. She and her partner, Paul, are the proud parents of five cats and one very stubborn (but adorable) pit bull.